Commercial Grade Oval Picnic Tables for Parks, Schools, Restaurants & More! Save on an Oval Picnic Table from Park Tables by calling today for a quote from our friendly staff. 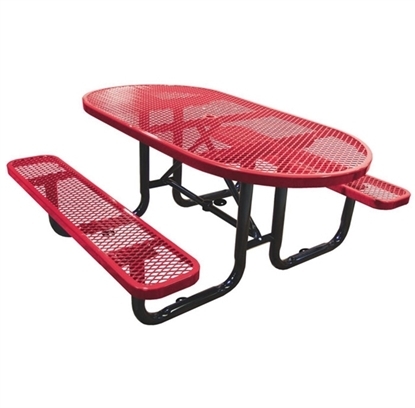 Oval picnic tables are popular for outdoor commercial settings, parks, and food courts. Call us to match an oval picnic table with trash receptacles and outdoor park benches for a professional look. You will find all oval picnic table styles here at Park Tables ready to quick ship to your property.